Attention! This content requires the base game Cities: Skylines on Steam in order to play. 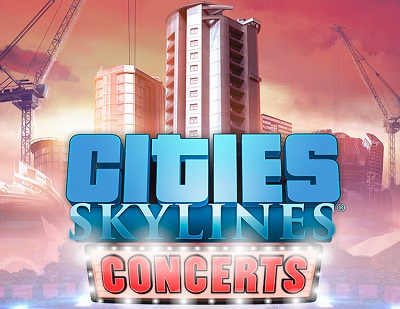 Cities: Skylines - Concerts is a miniature addition to a multi-award winning town planning simulator. This addition gives you the opportunity to plan and hold concerts and introduces a new music radio station into the game. Rock, folk, pop and EDM bands are at your disposal. The Concerts add-on brings a melodic component to the sounds of everyday urban life. But the choice of music in Concerts is only the beginning. To arrange a truly grand show, you will need to build new buildings for headliners, organize festival management for ticket sales, launch advertising campaigns that increase the popularity of groups, optimize security budgets and do much more. Players are given full control over everything from what is happening on stage to the backstage. - NESTOR, Elijha MOTi and Lily La Roux give their musical gifts to the city: the Skylines soundtrack and online music non-stop through radio! - Upgrade your festival venues to make more ambitious performances and accommodate more viewers. - Support the festival movement with new city regulations and budget funds to advertise concerts and raise more money for tickets and related sales.